Since the Summer Games skin released, Blizzard’s Dev team has done a solid job of creating and releasing new skins. 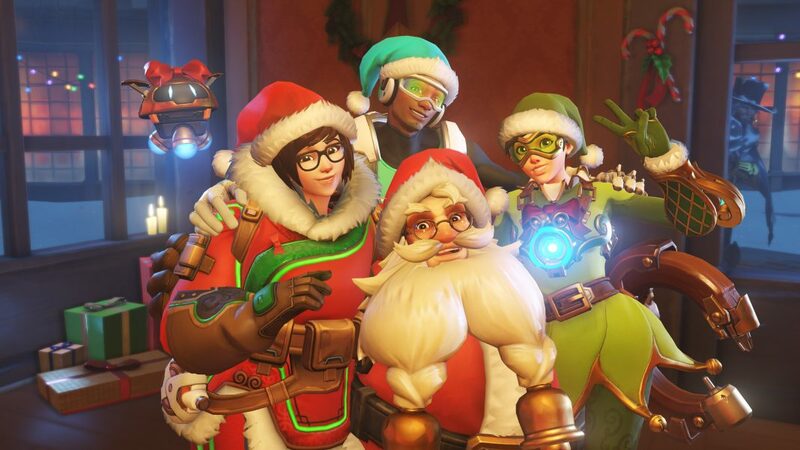 The Halloween skins were great and the Holiday skins are no exception. Let’s take a look at some of the stand-out cosmetics from this release. 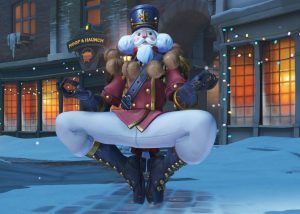 Zenyatta is not one of my more played champions, but this is by far one of Blizzard’s most original skins yet. They’ve altered most of his appearance to represent a nutcracker while still keeping Zenyatta’s charm. He’s equipped with the whole outfit and even has walnuts for orbs instead. If you have the golden weapon skin, his nuts become golden. What a time to be a Zenyatta main. It’s been far too long since Winston had access to a new skin. Since release, in fact. 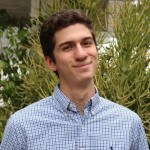 Blizzard found the perfect opportunity to bring a new Winston skin to light and it was executed just right. 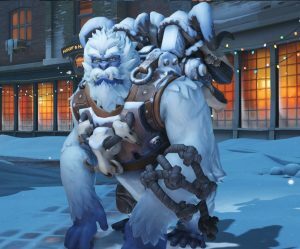 Everyone’s favorite lightning-spewing gorilla can now don the snow-covered Yeti skin for a hefty 3000 coins or a bit of luck. Worth every bit considering how long we may have to wait before the next Winston Skin. 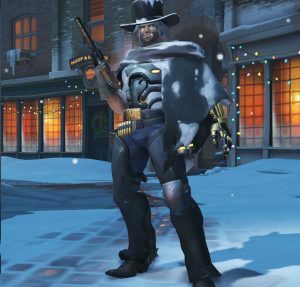 The new Scrooge McCree skin might not have all the ‘wow’ factor as the previous ones but it’s affordable at 750 coins and has just the right changes to make the skin feel unique and worth it. The top hat alone is worth its weight in currency. For those particular about details, the belt was adjusted to read, “GAMF” instead of “BAMF.” In line with Scrooge’s character, we can only assume it stands for greedy or grumpy. 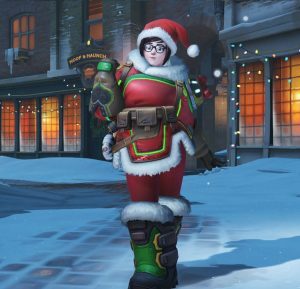 In my opinion, I’ve seen worse skins come at higher prices in other games – but since this was the first Mei skin to hit the gallery since the release of Overwatch, I can understand where there might be a bit of disappointment. The skin really doesn’t offer anything new. A Santa hat, some red and green colors and a bow on her drone’s head. The new snowman animation hardly makes up for it. 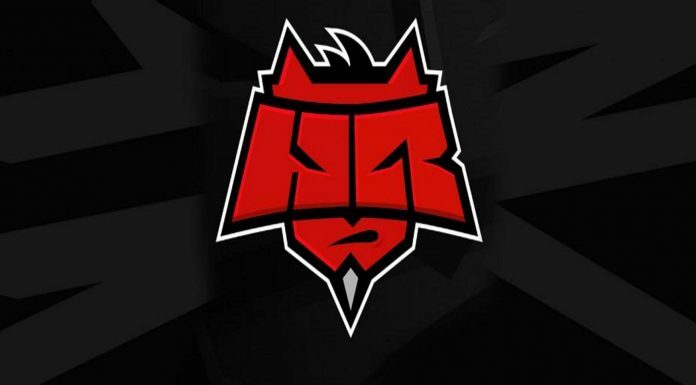 At the very least, the skin’s cost should be revisited and adjusted to meet the cost of other recolored skins. 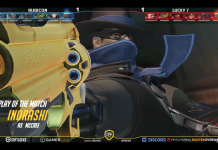 Previous articleNew Overwatch Update: Changes to Hog’s Hook and More!